Certain to capture your heart this Fall is the new CBS drama series GOD FRIENDED ME. It is a delicious blend of love and laughter. It follows a young twenty-something as he tries to launch his podcast career and finds himself embarking on an extraordinary journey when he accepts a Facebook friend-request from God. In an exclusive interview, Suraj Sharma previews how his character Rakesh Sehgal fits into the story of one man’s journey of self-discovery as God introduces him to seemingly unconnected individuals who will change his life and their own in the process. 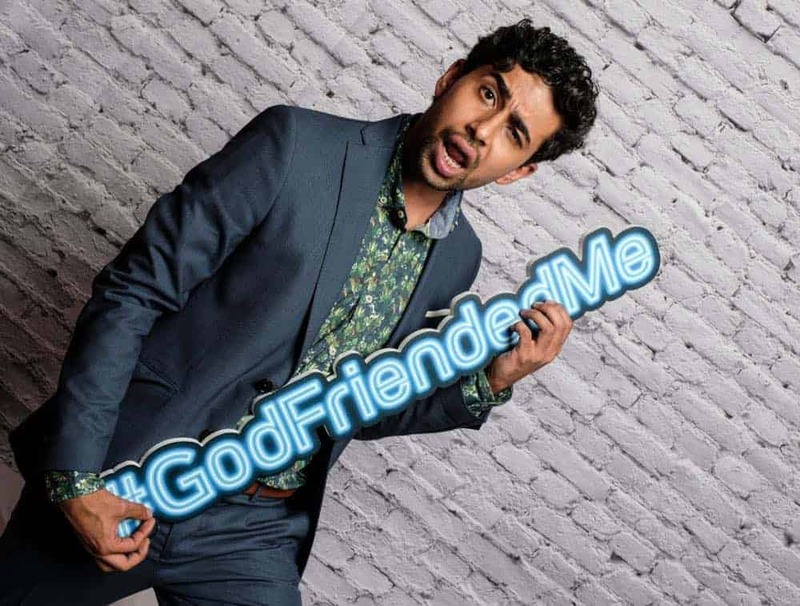 How did you get connected with GOD FRIENDED ME and what appealed about representing the character of Rakesh? SURAJ: So I was doing auditions — essentially I sent them a sound tape and that’s how I started getting attached to the show. Then they wanted me to come to L.A. and do a final audition with all the rest of the people who were trying out for the roles. It was my first time doing one of these pilot season things, so that was a really cool experience within itself. It was great meeting Brandon [Michael Hall]. We gelled together really well right off the bat. the moment I met him we were already like, “Okay, he’s cool, he’s cool.” We had a good vibe. Meeting the writers Bryan [Wynbrandt] and Steven [Lilien]] and Marcos [Siega], it was just already a good experience. Now that we’re shooting those things have come true. So that’s great. Rakesh is Miles’ best friend. He is a hacker, he’s a slightly aloof, an awkward dude who works at the same company as Miles. So that’s him. Throughout the series, he essentially helps them track down the God-code. He’s essentially doing all the logistics and trying to figure out where or who is behind all this while Miles moves around trying to actually meet the people face to face. So it’s interesting. It’s really cool and I hope it keeps going. What does Rakesh think about this mystery about the God account? SURAJ: It’s very interesting to me. I come from a mixed family background, as in it’s half religious, half not religious, somewhere in the middle kind of. It’s always been in my head, one of the reasons one needs religion, apart from many, is just the simple fact that it gives people a set of moral codes, which if they follow, would imply them helping one another, essentially. You know, practicing like kindness, generosity, and empathy. So for me, it’s very interesting to see from my life. It looks like all this emotion the God account is creating and all the tumult it’s creating in Miles’ life and Rakesh’s life comes down to the simple fact that essentially it just wants them to get outside of theirselves — and that’s why I really like this God code. Plus, the general question, whether this is God or is this not God? Is this some meaning of God? Is this a coder? Is this a hacker? Is this some small military device? What is this going on? Is this future tech? So questions like that are very interesting. It’s even more interesting, working on this show, you don’t really know the answers just like the audience. So that’s really cool. I like that. It can be perceived, initially, that there’s some ultra-prank going on. Does it feel like there’s a major prank going on here? SURAJ: Yeah. I mean, especially if you watch the first couple of episodes. The first thing that comes to mind is that this is someone pranking. That this is one of Rakesh’s friends or somebody like that, maybe a hacker dude pranking them. After listening to Miles’ podcast, you tend to feel like, “Yeah, somebody’s pranking them.” But eventually it just starts getting so serious. Like so many things of depth and great magnitude kind of happen in people’s lives that you know it might not be a prank exactly. So this could be some kind of “modern miracle” that we haven’t quite comprehended yet. What do you like and admire about your character Rakesh? SURAJ: What I like most is how he’s very chill and very grounded. 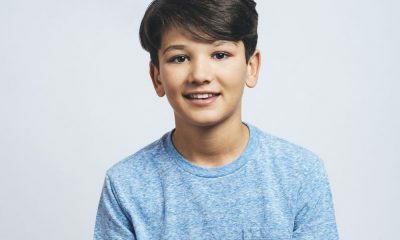 He’s a very quirky, awkward person but he’s still extremely capable when it comes to coding and things that he has to do. I really like how my character tends to put flags if there’s a path that Miles has to take. I feel, to a certain degree, my character does help put flags to show him which direction he might want to move in. There’s a couple characters on the show and our job is — like Miles is the dude who’s lost — and we’re trying to help him find the path which only he must travel. So for me that is really great. Also, I get to be funny. It really is super-nice because it’s not a heavy show. I’m sure you’ve heard that it is a light-hearted show. But there are moments of weight, so to offset it with humor is a great thing to get to do. 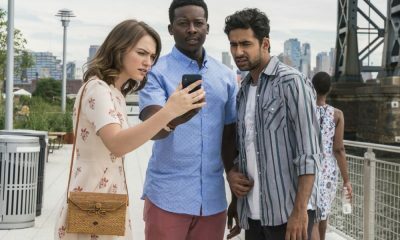 What is the rapport between Rakesh and Violett Beane’s character Cara Bloom? How does Rakesh see her? SURAJ: I think initially — not to give you any spoilers or anything — I do feel like it’s double-handed. On one front, he feels like, “Oh here you go. There’s this really attractive, really smart lady that, hopefully — from a best friend’s perspective — that Miles gets to date. So he’s excited about that whole bit. On the second front, it’s also that Miles is going through a lot of changes in terms of work and meeting Cara and spending a lot of time with Cara. So Rakesh’s also gets a little bit — not jealous — but a little bit like, “Oh my best friend, I miss him.” So it’s an interesting dynamic. I feel like Cara and Rakesh have this sweet-and-sour vibe going. It’s very interesting. I really like it. What about Joe Morton’s character? Do you get a chance to work with him yet? SURAJ: No, unfortunately. 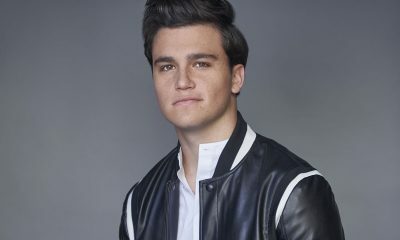 I really want just want one scene with Joe because he’s so good. I haven’t had that scene yet where I get to work with Joe. I really want to and he also said that he wanted to, so I feel good about that. For example, there’s a scene at the church where he’s doing the service and I sat and watched him, and that’s pretty great in itself. That voice in a cathedral is quite something. He kinda sounds a little bit like God himself, doesn’t he? SURAJ: He kinda does. He kinda really does. He’s this intense everything. It’s great. We love Joe. So what are your favorite scenes to work on. What are the kind of scenes you like working on this show? SURAJ: My favorite scenes are always the ones where we go out on hunts. Like Rakesh’s character has done the back work of trying to cut through the code, trying to find flags that show where what’s gonna happen or whatever at data points of the set, and then once all that is done and all these people go and try to find whoever we’re trying to look for in that episode per se. Those are always my favorite scenes. Either those or something tremendously awkward that Rakesh does, like meeting this one girl. 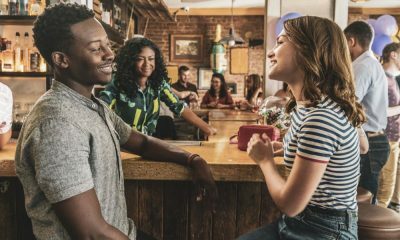 He goes on a date and it’s just a kinda awkward, hilarious situation. So those are the kind of things that are too much fun. There’s cool things that happen and there are cool places we get to visit which are all special in themselves. How has the experience of working on this show kinda impacted your life so far? SURAJ: First of all, I was in college. So it’s great to finish college and then get a job in New York. Like after being in New York six years, finally to know that now I’m a working at least for a little bit. I am a working actor in New York. That makes me very happy and really relieved. So that’s one thing. Secondly, this is the first time I’d be doing network television, so in a sense, it’s a lot of training. It’s also like teaching me a lot because I’ve never shot at this pace. I’ve never had to learn words this fast. I’ve never learnt essentially how to act to the edit style that works best for network TV. So all these things, I’m beginning to learn. So I feel like it’ll help me become more rounded as an actor. It’s just doing great things for me — the pressure, the speed at which we’re working is fantastic and it really pushes you. So that’s great. Plus, obviously, meeting all these people and working with them is really — I mean it sounds like everybody says this — but it really is a blessing. We have a really really good group. I’m really thankful. What would you like to tease viewers with what they can expect from this show? SURAJ: I think what they’ll get is essentially a reason to laugh and cry, watch something lighthearted that makes them think about things, regardless of God. It might make them think of kindness, empathy, generosity. It gives you perspective into these little things. Living in New York where one feels often times very lonely, it’s very tough existence. These things are very very very important to be seen and to be felt. I feel like that’s one of the things the audience will appreciate. To see and enjoy the heart-warming episodes of GOD FRIENDED ME, tune in Sunday nights starting September 30th on CBS. 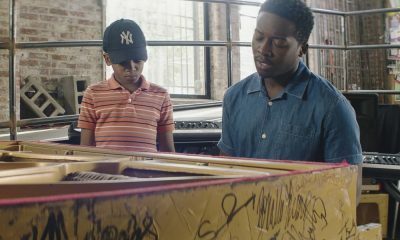 For more sneak peeks and exclusives, be sure to follow the show on Twitter @GodFriendedMe. Then to keep up with Suraj’s continuing adventures, you can follow him on Twitter @ImSurajSharma.